The Planning and Community Development department offers two capstone courses in which students engage in a service-learning project. Students work directly with community leaders and residents to provide technical assistance, create a plan, or accomplish another type of activity. The capstone course in the BS Community Development is the Community Development Workshop and Planning Studio for the MS City and Regional Planning. 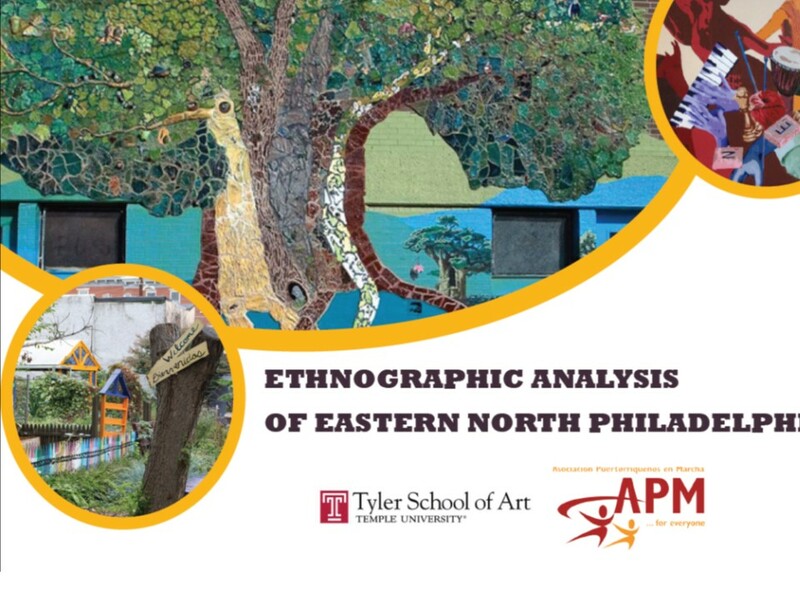 Students in the Spring 2016 Community Development Workshop undertook an ethnographic analysis of community leaders and residents in the neighborhood adjacent to Temple's Main campus. The workshop partnered with Asociacion Puertorriquenos en Marcha, the Community Development Corporation responsible for improving living conditions in this neighborhood, which has experienced disinvestment and neglect. The study revealed how residents feel about their community and how they would like to make it a better place for all. The spring 2015 Community Development Workshop students developed a Green Neighborhood Tool Kit for two community partners: Asociacion Puertorriqunoes en Marcha and The People's Emergency Center. The Green Neighborhood Tool Kit identified environmental, social and economic initiatives the two communities partners could undertake to make their communities more sustainable and to enhance the quality of life of residents. The New Kensington Community Development Corporation's Sustainable 19125 program was the model for the student project. The workshop students also organized two community events to raise awareness of the Tool Kit and sustainability. With PEC connectors and community volunteers, the students painted reclaimed bricks to create a decorative border for a new planting bed at the information kiosk at 40th Street and Lancaster Avenue. With APM connectors and community volunteers. the students painted reclaimed shipping pallets and planted them with sedum - green roof type plants, to create Valla Verde, a green fence, beautifying a vacant lot at 6th and Diamond Streets. The capstone Planning Studio course engages graduate students in a professional practice experience working directly with a client, often a community-based organization in Philadelphia. The students' work has received awards for the past 5 years. This year the Graduate Planning Studio produced two award-winning reports. 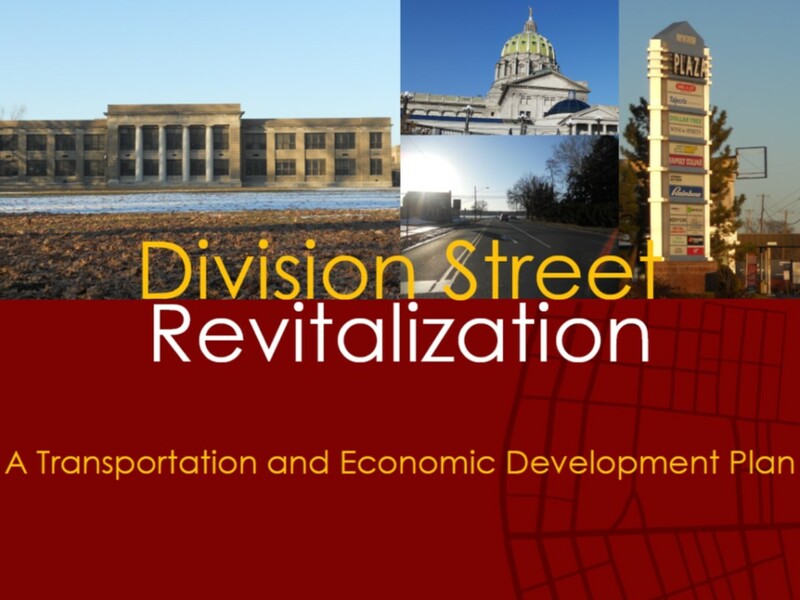 First Prize went to the Community Engagement for the Brownfield Area-Wide Plan and Second Prize went to the Division Street (Harrisburg) Revitalization study. For more information on these studio reports and the other studio project visit Dr. Jeffrey Doshna's website studio page. 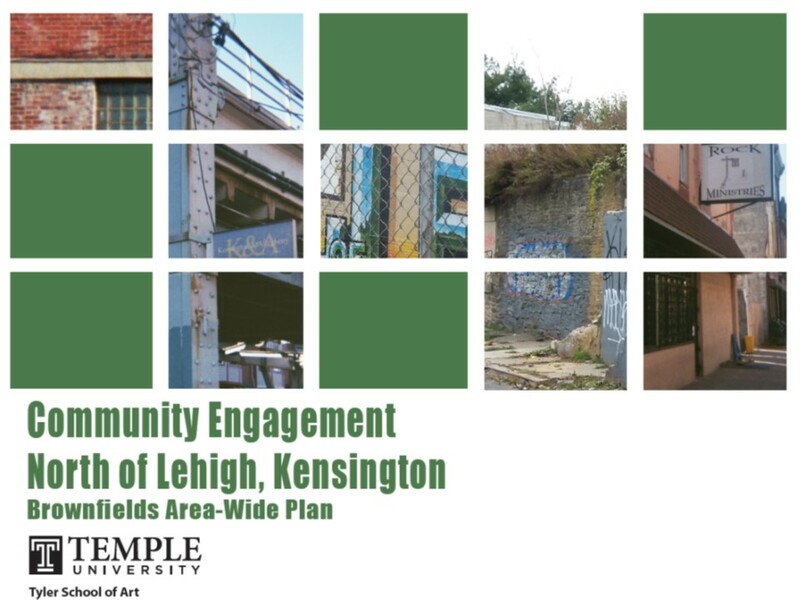 Addressing Brownfields: An Inventory & Redevelopment Plan for Southwest Philadelphia was prepared by the 2015 Temple University Graduate Planning Studio for the Southwest Community Development Corporation (Southwest CDC) as a reference tool to be used by the community as they engage in future redevelopment discussions. 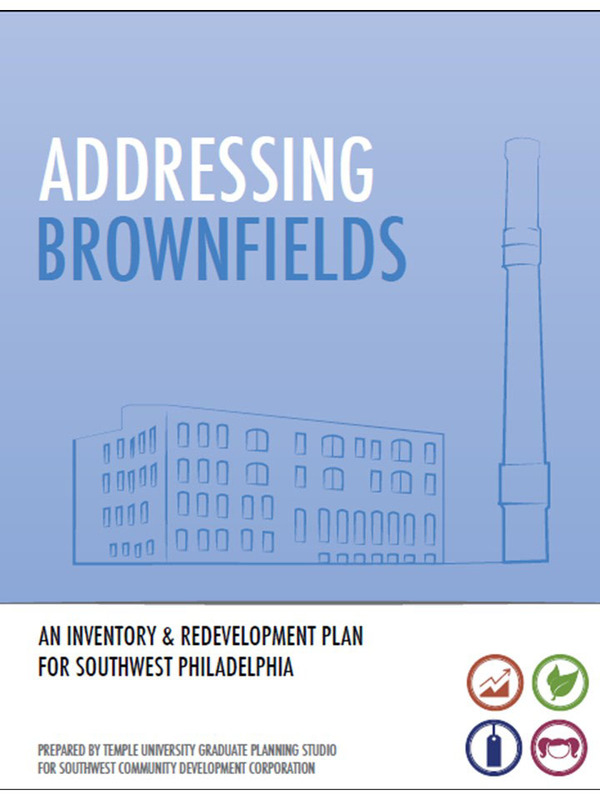 An unmet need of the Southwest CDC, this brownfields inventory is a key resource for identifying and prioritizing brownfields and other underutilized sites for reuse and redevelopment. Inventories like this can be challenging and time-consuming for communities to assemble; however, once created, they have the potential to provide great insight into future community planning and development efforts. Southwest Philadelphia has a history of industrial land use, which has left behind a legacy of environmental contamination as well as detrimental social and economic impacts. Aging with our Communities. The Spring 2013 Graduate Planning Studio was the culmination of the Department of Community and Regional Planning’s year-long focus on planning for aging communities. The demographic reality of the retiring ‘Baby Boom’ generation will place significant challenges on planners across the United States. The client, Montgomery County Office of Aging and Adult Services, like many area agencies on aging, lacked any significant capacity to engage in the comprehensive planning required to meet this challenge. Also unique to this year’s studio was the combination of both the Graduate and Undergraduate sections, enabling the students to create a very significant planning document that addressed demographics, housing, transportation, services, and safety & security.